e-Filing for AY 2017-2018 has stopped. You can still use ClearTax to generate a paper return. House Rent Allowance or HRA is paid by an employer as part of salary. HRA helps an employee cover rental expenses. If you live on rent you can save tax on HRA. HRA is fully taxable for those who do not pay rent. Claiming HRA while filing tax returns? If you received HRA from your employer and paid rent but could not submit rent receipts on time to your employer, don’t worry. HRA Exemption can be claimed while filing your tax return. Do remember to maintain rent receipts safely in your records. Answer a few questions and cleartax will find out the maximum HRA exemption you are eligible for. Did you previously claim any part of your HRA from your employer? How do I know? If you submitted any rent receipts to your employer/HR, it is very likely that you claimed some part of your HRA already. Please check your Form-16 to be sure. Please enter your current HRA exemption value. Where can I find this? This sould be in your form-16 in either part-B or in annexure section. Please confirm with your HR if you are not sure. What's your Basic Salary per month as per your pay slip? Where can I find this? Check for the Basic Salary figure in your pay slip and enter it here. Your HR should be able to provide your latest pay slip or salary slip. What's your HRA Allowance per month as per your pay slip? Where can I find this? Check for the HRA allowance figure in your pay slip and enter it here. Your HR should be able to provide your latest pay slip or salary slip. How much rent did you pay every month? 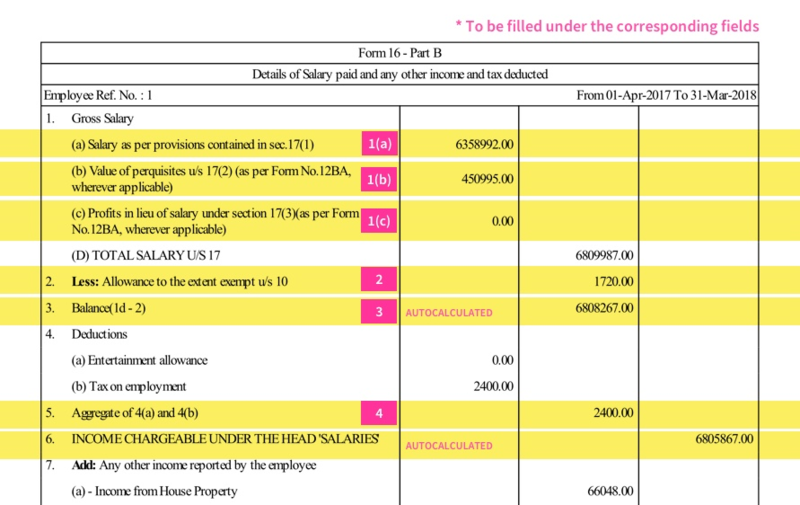 Your taxable salary How can I calculate this? Tax is calculated on your total income earned during the year. But, if your total salary includes any past dues (i.e. arrears) paid in the current year, or your have received family pension in arrears, you are allowed some tax relief under section 89(1) read along with Rule 21A. In simple words you are saved from paying more tax because of delay in payment to you. 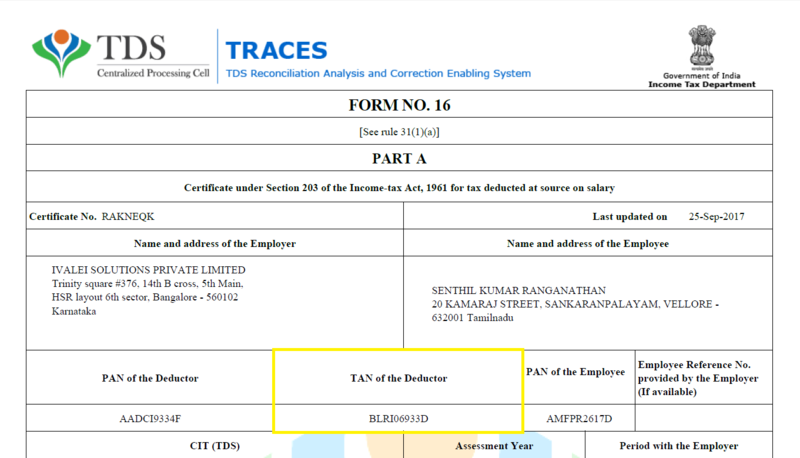 Please note that in order to claim this relief you need to submit Form 10E to the Income Tax department first. Do you know the Section 89 relief amount you are eligible for? If you need help calculating the relief amount, then a ClearTax CA expert can help you calculate this and file your returns quickly. Do you have a Form-16? Click here to upload your Form-16 PDF and avoid manual entry. Your tax return will be automatically prepared. Don't have a soft-copy? Use our step-by-step guide to understand your Form-16. Please provide this information as per your Form-16. 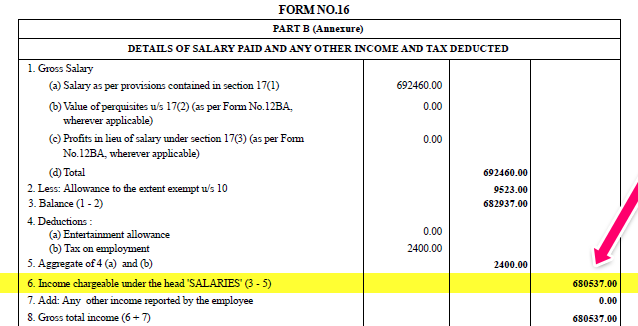 In your Form-16, find this information under Part-B - Details of Salary Paid (Heading 6). Click here if you want to enter your salary information in detail. Please provide this information as per your Form-16 Part-B. You can match each item with the field number in your Form-16. Please do not forget to save your data. Filing return yourself is Free. If you need a CA's help, you can opt for our paid plans starting ₹799. 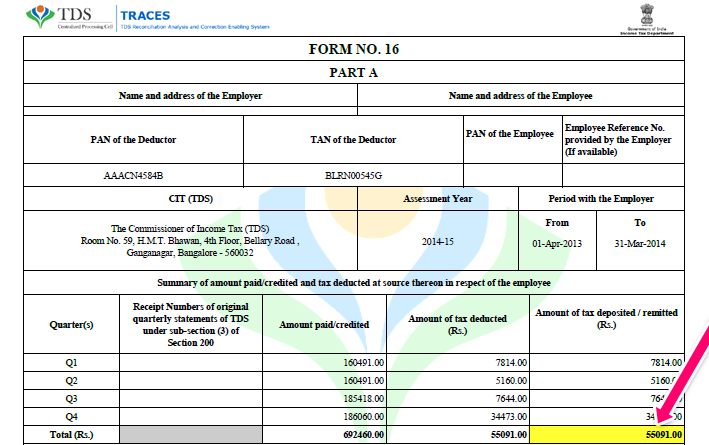 HRA Calculation not in Form-16? Don't lose out on HRA Exemptions if they haven't been included in your Form-16. Get our Rs. 574 Expert Assisted plan & a tax expert will help you avail HRA Exemptions. HRA: You can avail this benefit even if your employer has not given you HRA benefit in your Form-16. Click here to get help on availing HRA Benefit. Mediclaim: Only your employer can give you this benefit as per I-T Department Law. You cannot claim this if not present in your Form-16. LTA: Only your employer can give you this benefit as per I-T Department Law. You cannot claim this if not present in your Form-16.